The Atlantikwall (Atlantic wall) was an extensive system of coastal fortifications built by the German Third Reich in 1942 until 1944 during World War II along the western coast of Europe to defend against an anticipated British led Allied invasion of the continent. 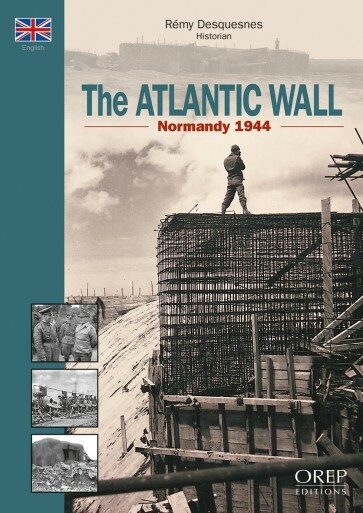 Unfortunately, due to sales rights restrictions, we cannot offer Normandy 1944, The Atlantic Wall for sale in your country. Early in 1944, Field Marshal Erwin Rommel was assigned to improve the defenses of the Wall. Rommel believed the existing coastal fortifications were entirely inadequate, and he immediately began strengthening them. By the time of the invasion, the Germans had laid almost 6 million mines in northern France. More gun emplacements and minefields extended inland, along the roads leading out from the beaches. In likely landing spots for gliders and parachutists, the Germans emplaced slanted poles with sharpened tops, which the troops called Rommelspargel ("Rommel's asparagus"), and low-lying river and estuarine areas were permanently flooded as well. Rommel firmly believed that the invasion would have to be stopped at the beach itself, or the situation would otherwise inevitably lead to the defeat of Germany. The defensive wall was never completed; consisting primarily of batteries, bunkers, and minefields, which during 1942-1944 stretched from the French-Spanish border into Norway (Festung Norwegen). The Channel Islands were heavily fortified, particularly the island of Alderney which is the closest to France. Hitler had decreed that 10% of the steel and concrete used in the Atlantic Wall go to the Channel Islands, because of the propaganda value of controlling British territory. Despite the mooting of Operation Constellation et al, the Allies bypassed the islands for this reason and did not try to liberate them when they liberated Normandy. The islands' German garrisons did not surrender until 9 May 1945 - one day after the rest of the German armed forces. The German garrison on Alderney did not surrender until 16 May. Today, many significant vestiges remain of the coastal defence system which Goebbels was to pompously baptise the Atlantic Wall. One of the aims of this guide is to introduce readers to the most interesting sites from an architectural, technical or historical point of view, and which can be observed along the Normandy coastline between the Mont Saint-Michel and Dieppe.